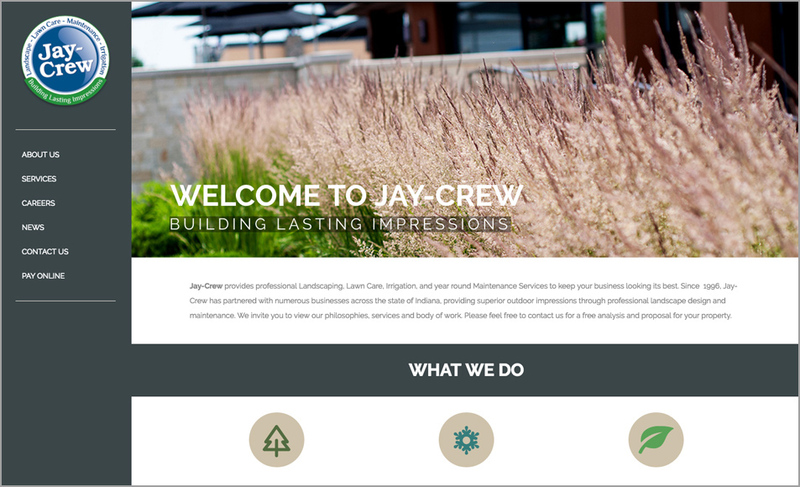 Since 1996, Jay-Crew Landscape, Lawn Care and Maintenance has maintained a consistent brand image without the need for a huge marketing or advertising campaign. 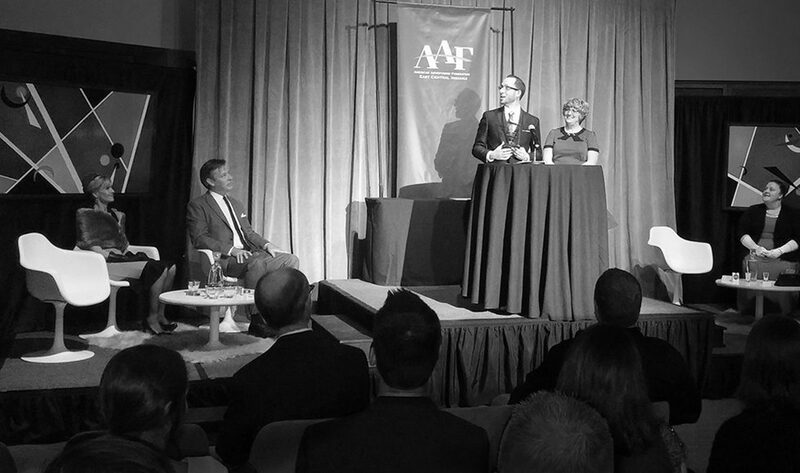 By 2014, the company was beginning to outgrow its local area. 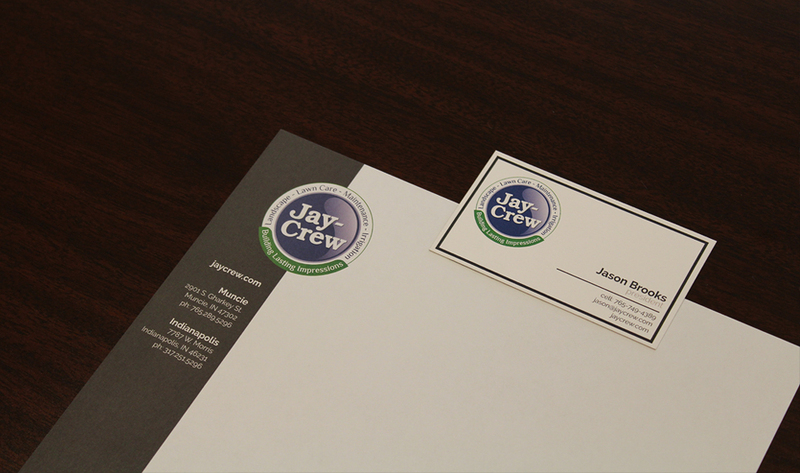 The time to push the Jay-Crew brand and service into new markets was quickly developing. 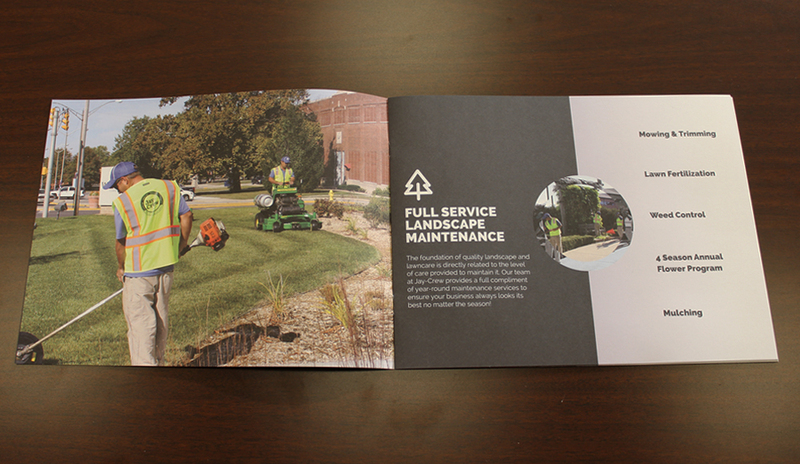 Jay-Crew was already an existing client of Whitinger Strategic Services, which helped to position us with a unique understanding of their brand. 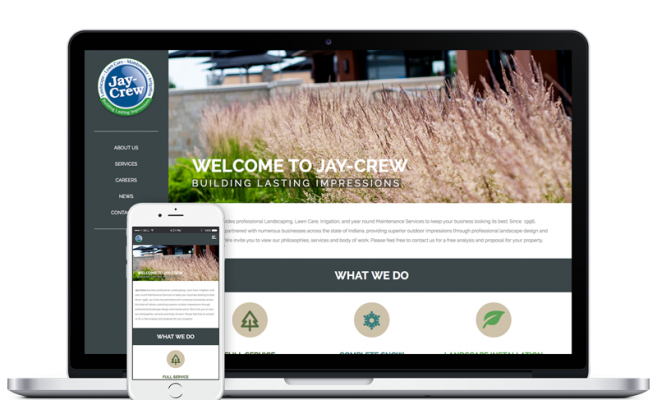 The local recognition with their existing client base was important to keep intact but we wanted to make sure that the new Jay-Crew “look” would be current and appeal to any of the untapped target audience. 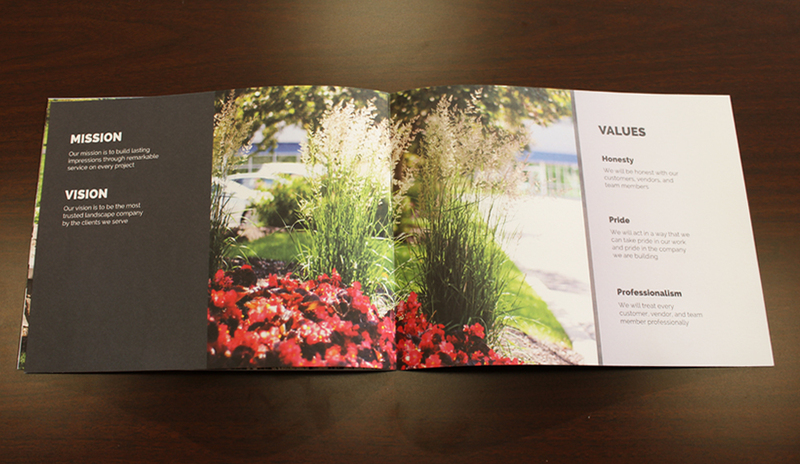 We presented them with an entire stationery refresh, a supplementary brochure, and a folder to contain the new materials.  We also presented them with a new web presence to help push the company in the right direction – forward. In addition to the existing green and blue colors, we added a slate grey shade. This not only grounds the brighter colors; it sets Jay-Crew apart from their competitors. It is also utilized to separate the services. We broke down the services list into three categories, which means each service gets its own color. 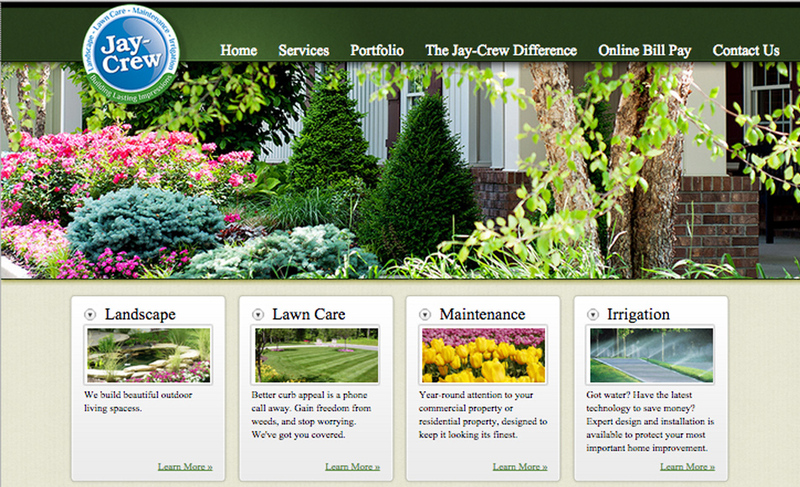 View the entire Jay-Crew site by clicking the photo above or by clicking here. 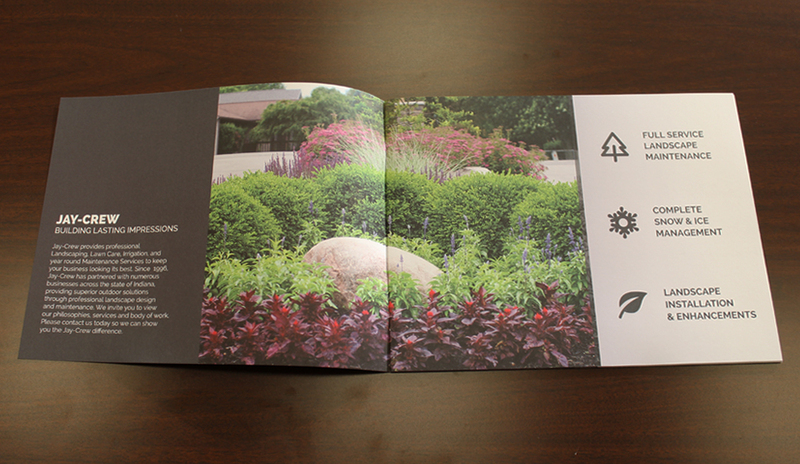 These materials won a Gold Addy Award for Sales Promotion earlier this year. Click here to read more about this accolade!